Fantastic news for strategy fans, as Cossacks 3 [Steam, Official Site] will be on Linux soon. A little later than planned, but we've been told the finishing touches are being done. This is one time I haven't been too bothered by the delay, even though I wanted to play it badly. The game at release was quite buggy, but they have rolled out patch after patch to fix it up. The reviews overall are "Mostly Positive", so I am still looking forward to it. Recently, they added in some huge news maps and the ability to have 8 players in a single game, so that sounds fun. This was also released on GOG today; no idea if the Linux version will be made available there as well though. I posted in the release thread asking GOG about it and have emailed GSC about it too. This looks really good and I'm happy it has been released on GOG. Looks like a it will be available for Linux also. I'm wondering if the GOG Windows version will run using Wine? If so I would buy it now and the later install the Linux version. What's the next thing you do ask for? Linux is not enough, it has to be DRM free on Linux? So the next level are native BSD Games? My bet is on "Steam-exclusive" release. GOG did not do a thing about Linux in the past and I doubt something changed this time. You say that as if it's somehow unreasonable to expect fair treatment of all customers. Anyway I've always been ardently opposed to DRM, since long before I even considered using Linux; as far as I'm concerned DRM reduces the value of any software to near worthless (and Steam is the only DRM I will tolerate at all. Any other DRM = it doesn't exist to me and I won't accept it even if it's free). cRaZy-bisCuiT What's the next thing you do ask for? Linux is not enough, it has to be DRM free on Linux? So the next level are native BSD Games? 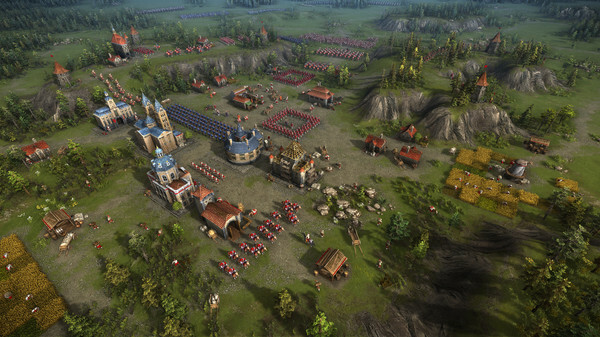 Never played a Cossacks game but I have to say that Cossacks 3 looks pretty beautiful. I'd definitely pick it up if they release it on GOG.com.